For green-thumbed Alaskans, nothing is harder than keeping a garden colorful all year round – especially when it’s covered under a foot of snow! As spring bulbs fade and summer draws to a close, don’t be left with boring shrubs in a drab yard. 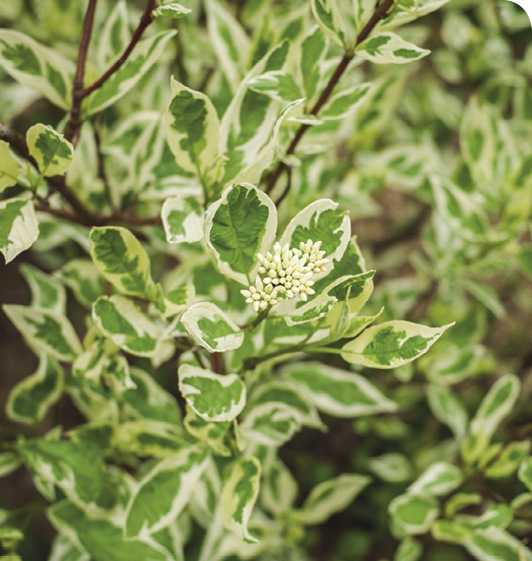 These must-have shrubs will add multi-seasonal interest to the Alaska yard, whether with blood red stems, vibrant-colored berries, or delicate blooms. When locals first look to add beauty to their yard all year round, the name of the game is dogwoods. The red twig dogwood, popular in Alaska’s climate, has green leaves and white blooms in warm seasons. Come winter, the leaves fall off and the distinctive red twigs are unveiled, adding a striking contrast to the white snow. Another common dogwood shrub is the ivory halo dogwood. 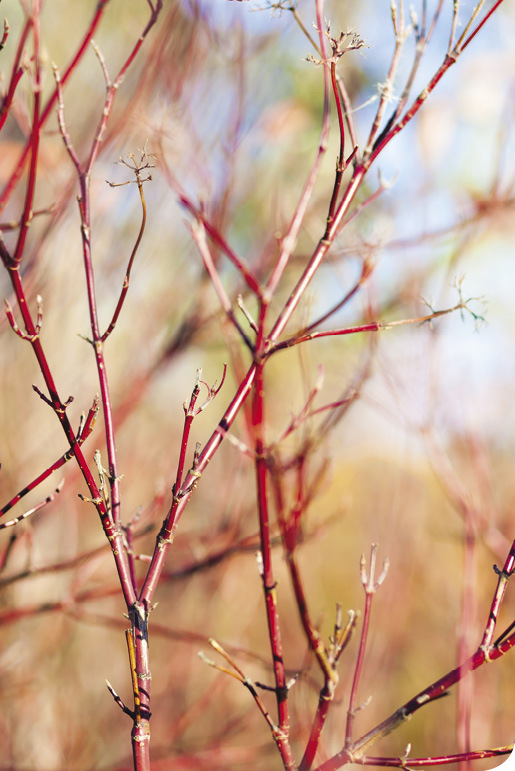 With ivory and green colored leaves in the summer, come winter its vibrant red branches also add character to any yard. “For color, what I use a lot is a red twig dogwood, which is exactly what it sounds like – a dogwood with red stems. It’s really beautiful in the winter time because it nicely contrasts with the snow,” says Benjamin Brown, landscape architect at Faltz Landscaping and Nursery in Anchorage. One timeless bush for winter climates is the evergreen shrub. While these plants stay the same color all year round, the gardener can let their creativity shine when structuring the shape of the shrub. There are two common evergreen varieties, yew and juniper, both of which usually thrive in Alaska yards. Evergreens require very little upkeep and add variety and structure to gardens, even in the dead of winter. “You always have to think about snow coverage in the winter time. We always fall back on evergreens, as they’ll keep their shape and their leaves. The more architecturally shaped the shrub is, the more interest it has. Anything that can withstand a lot of weight from the snow is a good choice,” Benjamin says about these hardy shrubs. Rose shrubs, another classic, may not stay lively through the winter but they’ll provide plenty of color during the rest of the year, and structure to your winter wonderland. 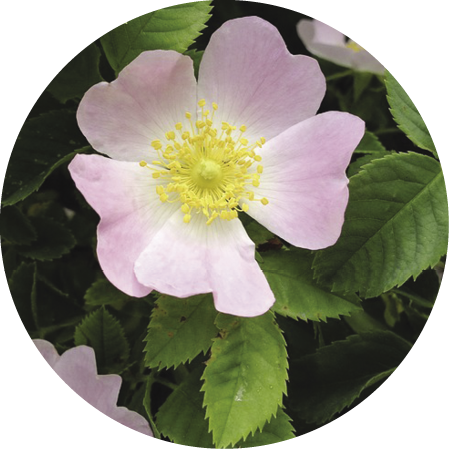 Josh Meister, president of Alyeska Landscape Professionals in Anchorage, recommends the redleaf rose and rugosa rose which fit in well with dogwood. “There are several varieties of pink and red rugosa roses that work well with multi-seasonal yards. In the fall, they’ll have rose hips which can be used to make a jelly. I recommend starting out with a mix of shrubs, like combining dogwood and some roses, which is a great look for multiple seasons,” Josh advises. The redleaf rose, with silvery-blue foliage and a delicate pink flower, makes an ideal garden border plant. While not native to the environment, they do well in Alaska’s climate. 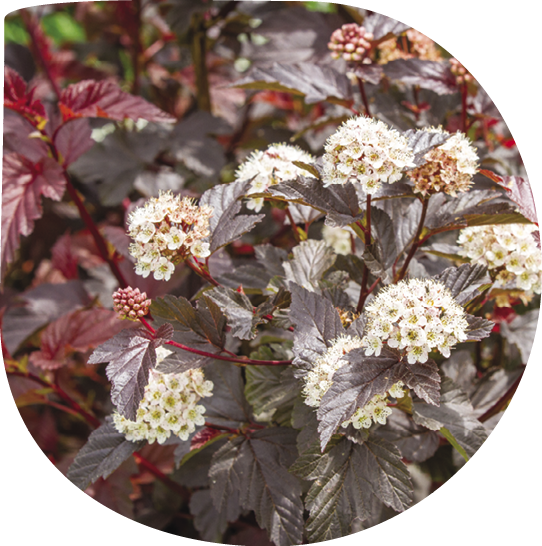 The ninebark, another stunning yet versatile shrub variety, has a rich burgundy foliage dotted with white flowers in the summer, with distinctive shaggy tan bark in the winter. Fruit bearing plants are another method to add variety to your yard. Chokecherry shrubs are increasingly used due to their autumn-harvested red or dark purple berries and ability to survive in harsh winter climates. Apple and crabapple are also popular in the state, in addition to mountain ash shrubs which hold onto their striking red berries in the winter. They are easy to grow in Alaska, and mountain ash even has a native variety, but all attract some unwelcome wildlife – curious and hungry moose! Gardeners must take special precautions before planting these shrubs to make sure their yard remains moose free. After all, the last thing an Alaska gardener needs is a hulking 1,000-pound beast trampling through their flower beds! Kassy Stanislaw, owner of Alaska Hardy Gardens in Homer, makes sure customers understand the precautions to take with moose. “There’s nothing worse than spending money on a plant and then watching a moose eat it to the ground. For people that come to my store, I always ask if they’re putting their plants inside a fence. When planting inside the fence, they can have more fun with it by planting more varieties of trees and shrubs,” Kassy explains. Her favorite shrubs that don’t attract moose are potentilla or spirea shrubs. 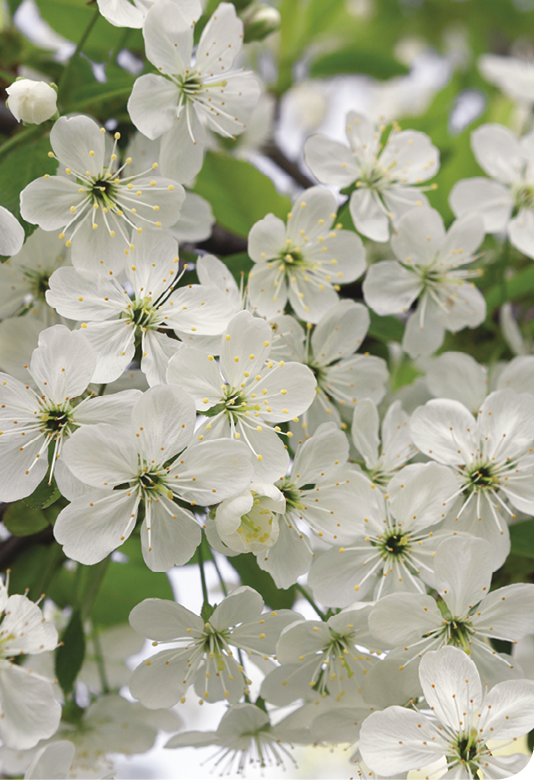 These shrubs can be safely planted outside of fences and add warmth to the yard with their beautiful blooms. “I love the flowers on the potentillas, and some varieties of spirea turn deep orange and red in the fall, which is a color we usually don’t see in Alaska during that time,” says Kassy. Even during the dead of winter, the plants provide valuable structure for yards. Alaska is remarkably big with all its nooks and crannies, so Kassy emphasized the importance of doing research into what kind of shrubs thrive in your diverse neck of the woods. Looking out for moose isn’t the only danger your multi-seasonal shrubs can face, however. Once the veil of winter is lifting and flowers start to bloom again, attentive gardeners prune their shrubs to maintain the health and appearance of the plant by removing thinning or too-close branches, overgrowth, or damaged areas. Similar to snipping off split ends, removing the unsightly bits allows for healthier growth. Josh from Alyeska Landscape Professionals stressed another important care area – water maintenance. The biggest thing to remember is watering in the summer months when we get a lot of sun and wind. Providing adequate water is the best thing you can do for your shrubs and other plants,” he emphasizes. It’s no easy task maintaining a pristine garden year-round in Alaska, but nothing easy ever pays off big! Few things are more rewarding for a hardy gardener than seeing the striking dogwood branches or bold mountain ash berries defiantly peeking out from an otherwise snowy winter wonderland.